It’s a historic day in Regina. 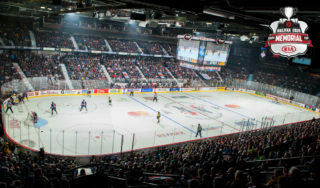 The host Pats and the QMJHL champion Acadie-Bathurst Titan hit the ice in the 100th Mastercard Memorial Cup Championship Final at a sold out Brandt Centre. 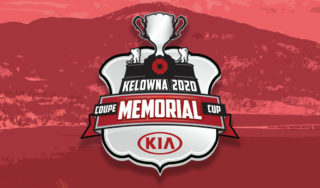 With 99 years of history behind them, the Pats and Titan look to become the 100th team to have its name engraved on the prestigious trophy dedicated to the honour and memory of Canada’s fallen military service men and women. For the Pats, who are wrapping up their centennial season and serve as one of the world’s oldest and most storied major junior hockey franchises, the narrative just fits as they play for their fifth national championship in club history. 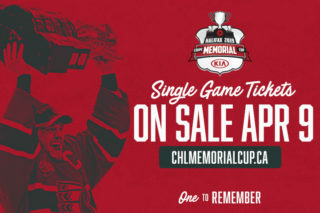 Across the country in Acadie-Bathurst, one of the CHL’s smallest communities consisting of approximately 13,500 has rallied around its Titan, hopeful that their club can make history in Regina tonight by hoisting the Memorial Cup for the first time. The Pats enter action with a 3-1 record, defeating the OHL champion Hamilton Bulldogs by a score of 4-2 in semi-final action on Friday thanks to a 44-save performance from rookie goaltender Max Paddock. They enter play off consecutive wins, looking to overcome the lone opponent they haven’t managed to solve in Acadie-Bathurst, who they came up short against last Sunday in a high-scoring 8-6 decision. 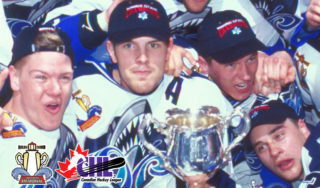 In their CHL record 16th Mastercard Memorial Cup appearance, the Pats are working to hoist the prestigious trophy for the first time since 1974. With a lot of history on the line, the Pats are staying focused on the task at hand. Steel’s remarkable tournament showing sees him enter Championship play three points shy of tying a tournament record and two assists shy of knotting an event mark. His continued production has powered the Regina power play to the tune of a 33% (5-for-15) efficiency rate. Colorado Avalanche prospect Nick Henry leads Regina with five goals while blueliner Josh Mahura leads offensively from the back end with seven points (2-5–7). The Titan hit the ice with a 2-1 record, taking round-robin wins over Swift Current and Regina before coming up short against Hamilton by a score of 3-2. Regardless, Acadie-Bathurst’s superior goal-differential outcome secured them a spot in today’s Championship Final after Hamilton and Regina also wrapped up the round-robin with identical 2-1 records. 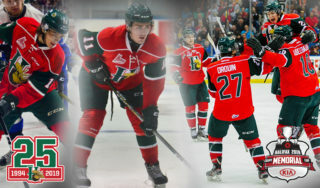 Acadie-Bathurst enters action well-rested after four days off. The Titan will have to brave a sold out Brandt Centre but hold last change as the home team, something that could prove valuable against a Pats squad boasting a dominant top offensive unit. Overage captain Jeffrey Truchon-Viel leads the Titan in tournament scoring with nine points (3-6–9), working alongside team goal-scoring leader in centreman Samuel Asselin (4-1–5). Top 2018 NHL Draft prospect Noah Dobson has performed as advertised in Regina, recording seven points (2-5–7) while seeing big minutes against top opponents despite being just 18-years-old. The last meeting between the two clubs saw Acadie-Bathurst climb out to a 7-2 lead before a third period surge from Regina featured four consecutive goals as the Pats narrowed the gap to one before falling 8-6. Truchon-Viel and Dobson both recorded two goals and two assists for the Titan while Steel picked up four helpers for Regina and linemate Cameron Hebig scored twice and added an assist. 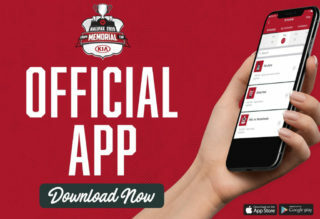 This marks the first QMJHL vs. WHL Mastercard Memorial Cup Championship Final since 2013 when Nathan MacKinnon, Jonathan Drouin and the Halifax Mooseheads defeated the Portland Winterhawks by a score of 6-4 in Saskatoon.